Winner of 2013 Ivey Award for playwriting. Two scientists, stranded on the planet Ch’Shh-Ts after a crash landing, have one last chance to return to Earth — but will love keep them from going home? Derek Ewing, Ariel Leaf, and Maggie K. Sotos as K’Sh in Freshwater Theatre’s 2013 production. 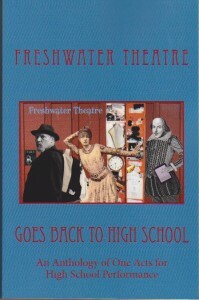 Published in Freshwater Theatre Goes Back to High School. 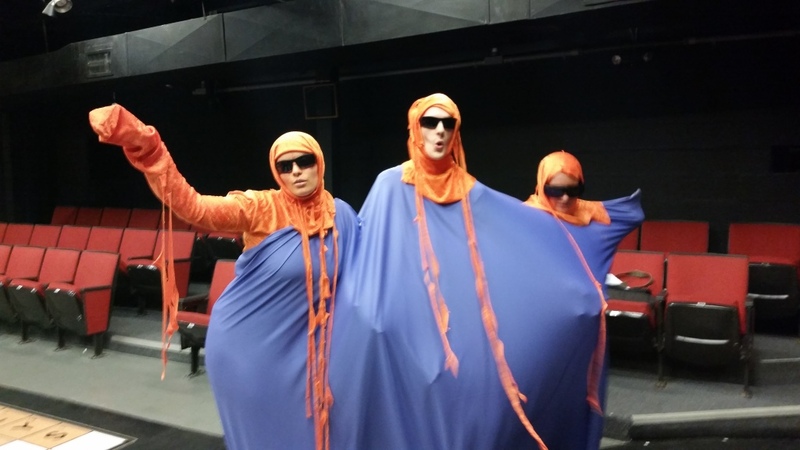 Alien Love Triangle was part of Colonial Players' 2014 Summer One-Act Play Festival, “This or That.” The festival has two groups of plays — one called "This" and one called "That," and ALT was part of "That," which played on July 18, 20, 24, & 26. 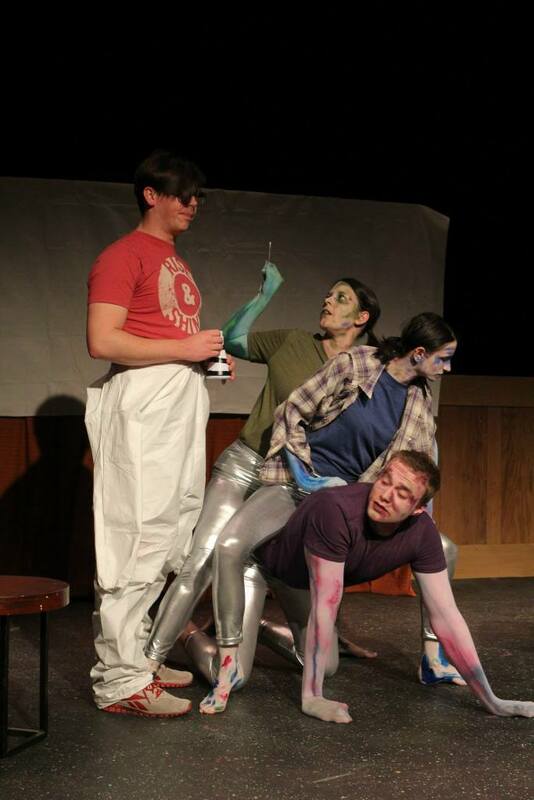 It was described as "a tongue-in-cheek, sci-fi farce taking place on an alien planet." 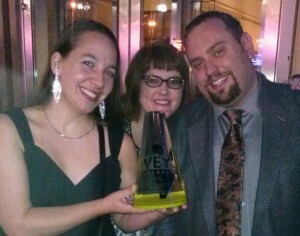 I couldn't be there, unfortunately, but they did send pictures. Directed by Lelia TahaBurt and featuring Richard Atha-Nicholls as Max, Erica Jureckson as Robin, and Chloe Kubit, Sam Morton and Brooke Penn as K'Sh. 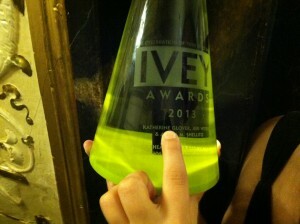 Holy Smokes, I Won a Flippin' Ivey! Alien Love Triangle is the first play in the book, followed by the two others Freshwater produced in April, plus four "bonus" plays. My one-act play "Alien Love Triangle" opens April 14 at Nimbus Theatre as part of "Freshwater Goes Back to High School." Freshwater Theatre put out a call for scripts meeting Minnesota State High School League One Act competition criteria, so that high school theater directors won't have to cut regular one acts from 45 minutes to 30 minutes (and as a former high school actor, I know how frustrating this can be)... and mine was selected! The show features three one-acts, including mine (using adult actors) and then Freshwater is also publishing the scripts in an anthology along with four others.